As I subscribe to more and more coaching and business blogs, I've gotten really suckered by the hidden pitch. The "I'm gonna tell you a great story and hint that I learned something awesome from it and then tell you to join/buy!" And that doesn't sit right with me. I try not to hide things from you all. I try to add my sales blurb at the bottom while not leaving anything out of the post itself. So that's why I'm being totally honest with you guys right now. This post? This post is a pitch. I'm writing this to tell you what I have up my sleeve. I want to get you interested and invested, but I have the honest intention to not leave you feeling empty if you don't come along. I was doing a discovery session the other night and she asked me about beFULL. And I started talking. And I kept talking. Because I am very very excited about this offering. 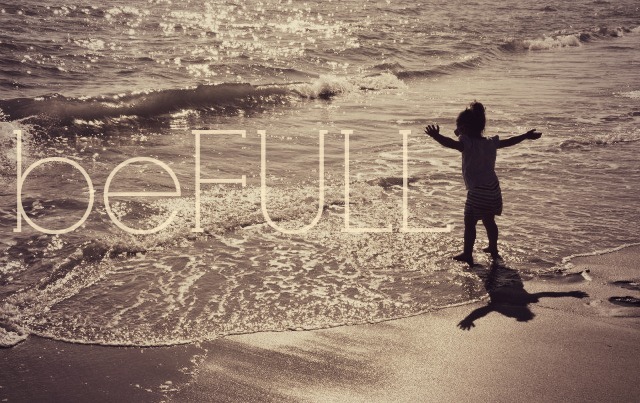 BeFULL is different than any monthly "challenge" I have offered before. Mostly because it is not a challenge. It is an exploration of what you already are and a plan to develop an appreciation for it. I got this idea a few months ago. I was really really struggling because I have put some of my weight back on. And I was reminded of this every morning when I got dressed. So I begrudgingly went out and bought a few comfortable (and bigger) items on consignment. A pair of skinny jeans. A short black skirt. A cashmere sweater. I started my daily gratitude journal again. I started keeping a list of my accomplishments along side my growing to-do list. And gradually, things changed. Not huge changes, but changes nonetheless. I'm not taking extra trips through Starbucks because I "need" it. I'm not skipping workouts because I know I won't perform the way I did a year ago. I'm not making decisions from a place of fear. I'm far from perfect, but I'm getting closer to being where I want to be because I am acknowledging, accepting, and loving where I am. And that is what I want to give you with beFULL. 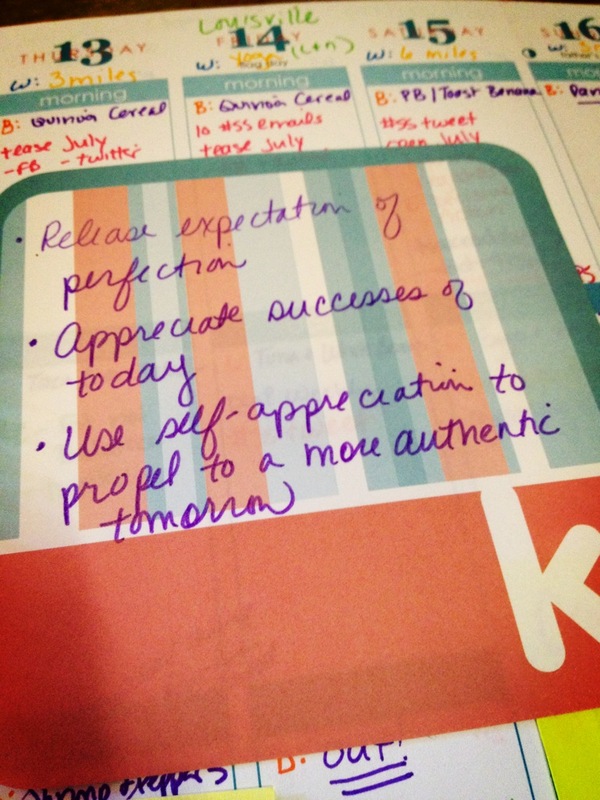 I've had the goal statements for this offering on a post-it in my planner for weeks, letting it guide my development. So how will we work on building contentment? Click here to register or for more information. The program starts July 1, and I will close it on Saturday, July 29th to get everything set up. And, as always, feel free to email me at Krissie@committedcoaching.com with any questions.